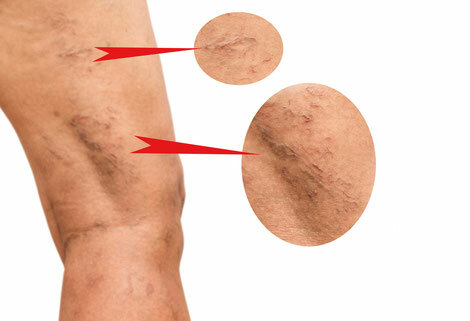 Spider veins are formed by the dilation of a small group of blood vessels located close to the surface of the skin. Although they can appear anywhere on the body, spider veins are most commonly found on the legs. They usually pose no health hazard but are an indication of more severe venous disease namely venous insufficiency. Spider veins do cause pain especially when they have been present for many years. The exact cause of spider veins is unknown, although heredity, pregnancy, trauma, aging, sun damage and hormonal influences are believed to be primary factors contributing to the condition. More than 40 percent of women have some form of varicose vein condition including spider veins, with an increasing incidence of venous disease as one gets older, so that up to 80 percent of women have some form of venous disease by age 80. Slightly more women than men have varicose and spider veins. Varicose veins are a sign of a more significant condition, however most patients see varicose veins and spider veins as a cosmetic concern, Symptoms of vein disease include fatigue, night cramps, leg swelling or itching around certain veins. If you are experiencing any of these symptoms treatment of the underlying condition should be treated. Activities such as walking, cycling and swimming all help to keep up blod circulation in the legs and will reduce pressure and blood pooling. Maintain a healthy weight. Reducing body weight will eliminate excess pressure on the legs that causes veins to surface. Properly fitted graduated support hose ensures that pressure is properly distributed on legs so that blood is directed toward the heart. Be careful, however, not to restrict blood circulation. 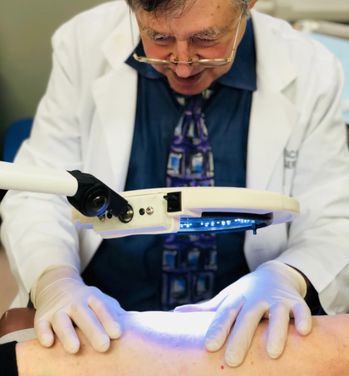 Speak to a dedicated vein specialists like Dr. Katz about a variety of treatment options available, such as lasers or injections. Depending on the severity of vein damage, experts can determine the best treatment option for you. The heat associated with long hot baths and hot tubs will actually increase vein swelling and lead to blood pooling. While tempting, such treatments may not be legitimate. It's best to consult dedicated vein specialists to explore treatment options. Clothing around specific body parts - including waist, legs and the groin area - can restrict circulation and lead to spider and varicose veins.